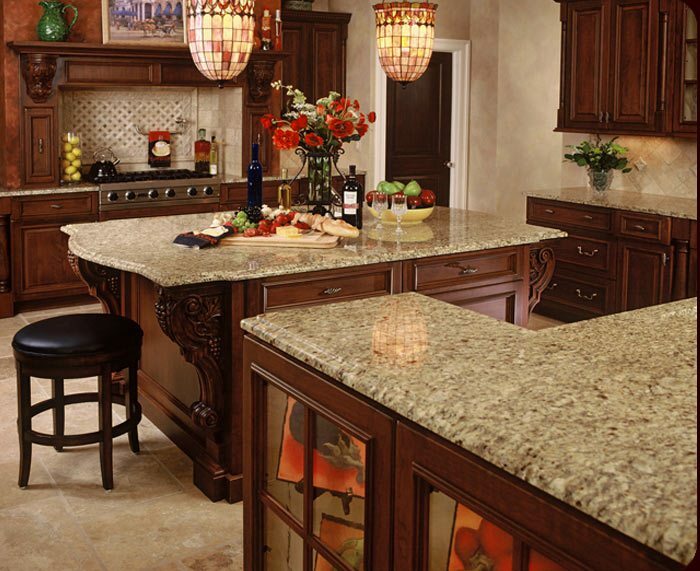 Granite is a crystalline, igneous rock that is mined, cut and polished to perfection. Its durability, longevity and resistance to heat and scratches make it great for heavily used surfaces. Care: Daily cleaning with mild soap & water is recommended. Clean spills immediately and avoid use of harsh chemicals. Regular sealing is recommended.